Please book one week in advance to allow for fresh product to be made. Crushed Grape Massage - Our Signature Bohemian massage, featuring grapeseed oil infused with wine extracts and aloe vera to replenish moisture. The resveratrol naturally found in the wine and grapes helps improve elasticity and aids in cell repair. Wine & Honey Body Wrap - In this indulgent treatment, honey and chardonnay are combined with a detoxifying clay and gently brushed onto the skin. The body is then enveloped in warmth. Finally, end your indulgence with a private spa shower. 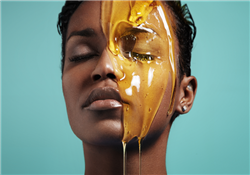 Honey Chardonnay Facial - This facial blends the healing properties of white wine extracts with the antimicrobial features of honey, all incorporated into our signature facial. This leaves your skin calm and balanced, while also increasing tightness in the skin. Luxe Wine Goddess Package - Begin your experience with our Crushed Grape Massage - a Signature massage featuring grapeseed oil infused with grape, wine extracts and aloe vera. Then exfoliate with a Cabernet body polish, followed by our Wine and Honey Body Wrap.Finish your indulgence with our signature honey chardonnay facial. Cabernet Body Polish - This indulgent body polish with notes of cedar and dark cherry, is specially designed to remove dry skin as well as repair the skin with the healing properties of wine and grape extracts, leaving your skin feeling renewed and youthful again. Wine Goddess Package - Begin your experience with our Crushed Grape Massage - a Signature massage featuring grapeseed oil infused with grape and wine extracts and aloe vera. 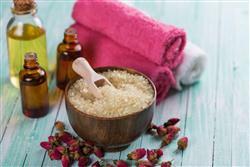 You'll also receive our Cabernet Body Polish, followed by our Wine & Honey Body Wrap. In the wrap, a detoxifying clay is combined with honey and chardonnay and gently brushed onto the skin. Finish with a private spa shower. Wine Princess Package - This treatment begins with a one-hour Crushed grape massage - a Signature massage featuring grapeseed oil infused with grape and wine extracts and aloe vera. You'll finish the experience with a Honey Chardonnay Facelift Facial. The facial blends white wine extracts with the anti-microbial properties of honey, all incorporated into our signature facelift skin treatment.